Want to keep your email private, safe, secret and anonymous? Read on to find out how to create an anonymous email account! Secure email has been a problem since email was first created. Aside from flaws within the email protocols themselves, the ability to reach out and touch anyone anywhere for free is being exploited in every way imaginable. Remember the old Nigerian Prince Scam? You know, the one you would get in your email asking you to “please help me get my money out of Nigeria. All you have to do is send me your ID and account details so I can establish a bank connection”. While it is no longer the threat it once was, it is an example of how vulnerable email can be. Setting up an anonymous email account is easy, depending on how anonymous you want it to be. If all you are looking for is to keep emails secret from a spouse or coworker, then simply set up a new account they don’t know about and use that. If you are trying to keep yourself safe from the “Internet”, or to keep digital footsteps truly hidden from those with the skills to find them, then the task is much harder. When you start this task remember one thing: the Internet is trying to find you. It wants to find you. If you set up an anonymous account and then go and do all the things you used to do, it will find you. You’ll log in from the same IP locations, visit the same websites and leave little traces of yourself everywhere you go. At first, the files being built on your anonymous self will be an unknown user #xxxx. Eventually, enough data will be compiled by some Big Data/Data Mining algorithms, and they are going to say: “hey, this file looks just like this other person we know”. And then they’ll find even more clues to link you together and your carefully set up anonymous email account will be blown. It goes without saying that choosing a good email provider is an important step in the whole process of setting up an anonymous email account. There are both free and paid sites, and each comes with pitfalls. When it comes to free providers you have to ask yourself one question: Why is it free? The reason, in most cases, is to provide targeted advertising directly to you and your inbox. This means tracking, monitoring, and analysis of your data, the data you are trying to hide and keep safe. Torguard Anonymous Email – This is an email service from the file-sharing service Torguard. It provides an inbox free from advertising with plenty of security including cryptographic features. With the free package, you get 10MB of storage, end-to-end security with SSL encryption for the connections and P/PGP encryption for the messages. For a small fee, you can upgrade to unlimited storage with all the same great features. TOR Mail – Tor Mail is a super secret service built on the hidden service network within the Tor ecosystem. To access it you will have to use Tor to access it. It is designed for super anonymity but comes with one flaw: you have to use TOR to access it. What I mean is, Tor is a place where people to go to do things on the net they don’t want to be seen, for whatever reason. Simply using it could draw unwanted attention or alert anyone you may be trying to avoid. Secure Mail – Secure Mail uses a 4096-bit key to encrypt all your messages so only you and the recipient will ever be able to read them. They don’t require personal information to sign up and have a zero-tolerance policy for spam. On the site they state they do not collect IPs or other information, all emails are encrypted and that they can not share information with any governments. They also support SMS messaging to mobile devices. The basic service is free, but to unlock larger storage capacity and extra SMS messages you need to pay. The Anonymous Email – The Anonymous Email lets you use your real email address to sign up. No other information is needed. The basic service is free but comes with limited storage. A $9.95 yearly upgrade gives access to personalized message templates and an anonymous chat room service. AnonymousEmail.me – AnonymousEmail.me is a way to send quick messages you don’t want, need or expect a reply to. When loaded the page presents you with several fields including From, To and Subject along with an optional Reply To as well. Once you enter the recipient’s address and send the message, there is no way for them to respond unless you provide the reply to address. This site does display ads so you will see targeted messages delivered to you by Google. 5YMail – 5YMail is another service that requires your real email to set up. Once you get your login information, all use of the email account is anonymous. The basic package is free with the ability to upgrade. All accounts will be plagued by AdSense. Recipients can respond to your 5YMail inbox, or you can provide a response to address. CyberAtlantis – CyberAtlantis takes your anonymity seriously. This is a streamlined service that allows you to send messages with just the recipient’s address and the message. When you send the email, your IP address is removed from the data packets making it virtually impossible to trace. W-3 Anonymous Remailer – The W-3 Anonymous Remailer is a joint project of the George Mason Society and the Global Internet Liberty Campaign. It is a free service, and free from ads, for sending anonymous emails. It only requires three things to function: an address, a subject, and a message. It only has one function: sending anonymous mail. There is no inbox, so there is no way to respond unless you include an address in your message. Send Anonymous Email – SendAnonymousEmail.net is a simple interface for sending messages. It requires no personal information or email address, but there is a place to enter one if you so choose. One thing that might make it not the best choice is that IPs are logged, so it will be possible to trace the messages once sent. Anonemail – Anonemail is my favorite simply because the name is so clever. It lets you send emails without revealing any information about your identity through an anonymous email. It is one of the simplest to use, requiring only the receiver’s address, a subject, and message. There is no way to respond. MyTrashMail – MyTrashMail is a dedicated inbox designed to receive mail from questionable sources, or messages you don’t want someone else to see. Say for instance you have to give an email to sign up for a website and use it to verify the account. All you have to do is use a fake address with the MyTrashMail email domain added to it and voila! You’re all set, all you have to do then is go to MyTrashmail and find your message using the address you made up. All messages are scrubbed from the system periodically for added safety. Notsharingmy.info – Notsharingmy.info is a site providing permanent anonymous email inboxes. These inboxes are perfect whenever someone asks you for an email address, and you don’t want them to have your main account. Any email that is sent can be forwarded to your regular account. Mailnesia – Mailnesia is an automatic email inbox system that will generate a new inbox whenever a message is received. It also has an automated confirmation/verification link click system perfect for when you are signing up for new websites. To use it, all you do is make up a @mailnesia.com email address whenever you need an email during registration. Spambog – Spambog is an email service that provides a disposable, temporary and anonymous inbox. It allows you to receive, reply and forward emails but not create new ones. All messages in the inbox are purged on a 7-day lag. If you want to be truly anonymous on the Internet, you will have to go to some extreme measures, but it can be done. The caveat, of course, is that nothing on the Internet is truly safe: someone somewhere can see what you are doing and if not right now, then soon. That being said, here are some steps you could take to ensure the most anonymous Internet use possible. Before you get started, you will need to purchase a prepaid phone or another device with which to verify your new accounts. Many emails and other online accounts require phone verification before you can use them. You don’t want to go opening up new accounts intending them to be anonymous and then tag them with a phone number that can be traced to you as soon as you hit enter. There are some accounts that do not require phone verification and some are even safe to use. The next step is to get a new device. No matter what you do with your device, short of completely wiping the memory and ruining it, you will need to remove all traces of you on your computer or mobile device. You can clear cookies and history; you can open and use new browsers, it doesn’t matter. If you connect to the Internet to set up an account to send anonymous emails using the same old computer, laptop or mobile device, you always leave traces of yourself. Apps, add-ons, tracking cookies and data collectors are going to reach through that new connection and into your files looking for whatever they can find, and find it they will. No reason to put yourself at risk before you even send a message. Do not use your new device or phone at any of the Internet connection points that you typically use. This means the house, the workplace, the gym or any other place that you use regularly. This will show up in your data. Accessing the net with your new gear only makes finding your new profile and matching it with your real ID easier. Bottom line, your new devices should never be turned on within range of any WiFi access points where you might be found. When setting up and logging into your new device, do not give up any information. If you have to enter anything, make it up and preferably not any numbers that may be associated with your real ID. When you access the Internet, use a different browser than you would normally. The browsers are the 2nd most likely point of recognition after the IP, being the 2nd point in the chain of access. The ISPs are collecting the data that you create, and they might be using it. The files that they have the most access to are usually their own, so no need to create an anonymous profile that they could easily match. Choose a trustworthy email system and set up an account. Be sure to use fake information and your burner phone to confirm. If you need to store the username/password anywhere, do it on paper and don’t keep it anywhere near the new device. At this point, you have a working and relatively anonymous email account. However anonymous, it is still vulnerable to outside attacks as well as to the spam and other threats associated with email. There is still one more step. Use your new set-up to purchase a subscription to a trusted VPN service with an anonymous cryptocurrency like Bitcoin or with an anonymous gift card. 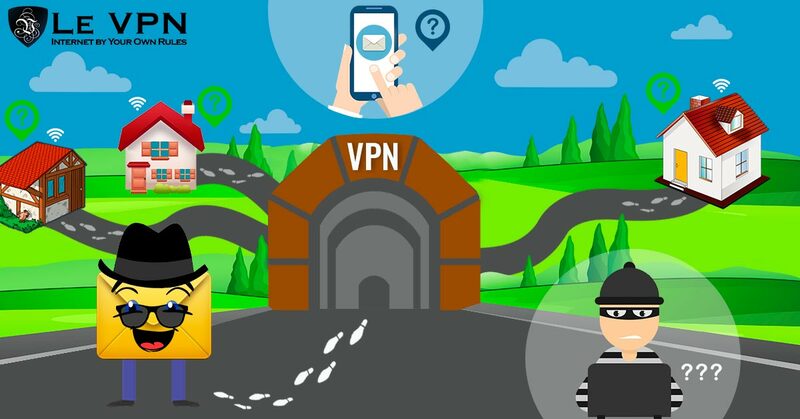 Using a VPN will plug any gaps in your new security by masking the IP address, hiding the connection within the tunneling protocol and encrypting your internet connections. If you want a truly anonymous and encrypted email, you have to use a VPN. The first two benefits may be redundant at this point but serve to hide your ID behind 2 more layers of virtually impenetrable security. The third, encryption, is the only way to ensure that information you send across the Internet can’t be read, used or exploited. You are now ready to send anonymous emails. If you are a little less worried about getting found out, or just want to set up an email address free and clean of the junk mail that is so easy to acquire, you can follow a much simpler protocol. If you can, use a new device or a device that you don’t normally use for emails. If this isn’t feasible, use a different browser or at least clear cookies/browsing history/passwords from your browser before setting up the account. For the best results try to avoid setting it from your home or office, or anywhere you may regularly connect to the net. Log on to the email service of your choice, there are many great ones out there, and set up a new account. If you have to use your phone to verify the account that’s OK, it’s not like you are trying to hide super secret government information, right? When you set up the account, use a fake name or handle not easily associated with you, unless the account is meant as a back-channel and you need to use some kind of identifier. When the account is set up, you’re ready to go. You will be able to send emails away from prying eyes and with some semblance of anonymity. If you want to take it a step further, an anonymous VPN connection is highly recommended. If there is one key to sending an anonymous email, it is using a VPN. The VPN masks your ID from the very start, even before your computer connects to the Internet, making it impossible to see and track your emails. If you don’t use a VPN, then it will be easy for anyone to see that you are sending emails, regardless of which so-called “anonymous” email service you choose. When it comes to VPN the best choice is Le VPN, and you want the best, right? Don’t wait, get it now and rest assured your messages will be safe.